The most comprehensive book about deploying TLS in the real world! 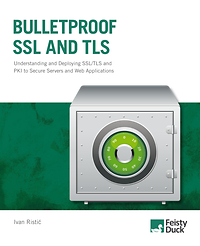 Ivan Ristic recently released the digital version of his excellent book Bulletproof SSL and TLS: Understanding and deploying SSL/TLS and Internet PKI to secure servers and web applications. In it, he offers clear and simple instructions for system administrators, developers, and others allowing them to understand and properly deploy SSL. Ristic is the creator of the extremely useful SSL Labs Server Test tool that gives administrators a detailed look at the SSL and TLS vulnerabilities on their website. Ivan Ristic is a security researcher, engineer, and author, known especially for his contributions to the web application firewall field and development of ModSecurity, an open source web application firewall, and for his SSL/TLS and PKI research, tools and guides published on the SSL Labs web site. He is the author of two books, Apache Security and ModSecurity Handbook, which he publishes via Feisty Duck, his own platform for continuous writing and publishing. 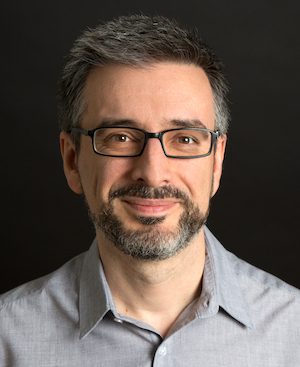 Ivan is an active participant in the security community and you'll often find him speaking at security conferences such as Black Hat, RSA, OWASP AppSec, and others. He's currently Director of Application Security Research at Qualys.